Scott Budow joined KM&M's Labor and Employment Group as an associate in 2019. Prior to joining KM&M, Scott was an associate in the Litigation Group at Stroock & Stroock & Lavan LLP, where he worked on a diverse array of matters, including labor law issues and employment litigation. Scott graduated with honors from Cornell University's School of Industrial and Labor Relations in 2010. He received his J.D. 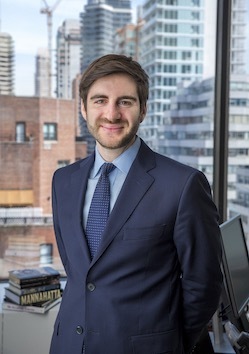 from Fordham University School of Law in 2016, where he won the Mulligan Moot Court Competition, served as an editor on the Moot Court Board and as a teaching assistant in the Legal Writing Program, and received a Dean's Merit Scholarship.